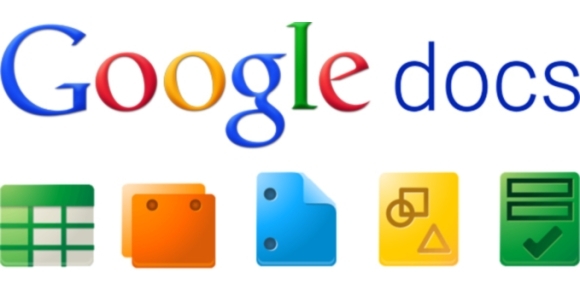 Google Docs has been around for some time now but until recently I’d never managed to find a use for it in my life and my lack of experience with the service means I’ve not felt confident enough to recommend it to readers.We are currently going through the process of getting another shop up and running in Newton Abbot which has necessitated several people working on the same few spreadsheets (costing exercises, proposed time sheets and so on) from several different locations.Google Docs has worked out perfectly for this task. To get started, set up a free Google Account (if you don’t already have one) at http://docs.google.com.From there you will now be able to create an online Document, Spreadsheet or Presentation.As well as then giving you access to these documents from wherever you are in the world, you also have the added advantage that you can choose to share them with any number of different people.Those that you trust to make their own changes can then also edit the document, even at the same time as another user. Either create a document from scratch or upload an existing Word, OpenOffice, RTF, HTML or plain text file.Files can also be saved back in to these formats for distribution in more conventional formats. Files are created using a WYSIWYG (What You See Is What You Get) editor.Those familiar with Word should have no problems using this and similar formatting and insert tools are provided. Each document can have a maximum size of 500kb plus up to 2mb per embedded image. Documents can be created from scratch or imported from Excel, OpenOffice, CSV or a plain text file.In the same way as with documents, work created in the Spreadsheet can also be saved back in to those formats. The layout and navigation is extremely similar to Word and formatting and formula editing tools are provided. Each spreadsheet can be up to 256 columns, 200,000 cells or 100 sheets; whichever is reached first. Work can be imported and exported in PowerPoint format along with the facility to save as a PDF file. A familiar looking WYSIWYG editor is provided to allow you to easily format your slides as well as inserting images and videos.Those used to using Word or PowerPoint shouldn’t have any issues. Presentations can be a maximum of 2mb in size when uploaded. The remarkable thing you’ll notice about Google Docs is how fully featured the applications are, despite the fact that you don’t need to download or install any software.The service comes in to its own with the share functionality which is incredible; it’s quite surreal to be working on the same document as another and seeing the changes they are making in real time.Any changes are stored in a revision history so you can track any work that has been done on a document as well as rolling it back if required. Since all the work you create is saved online there are potential issues with regards to privacy and security however I don’t believe that most would have any real cause for concern.Members of MI5 may want to consider sticking to conventional offline storage methods for the time being, although that having been said, it is much harder to leave an online document on the train.